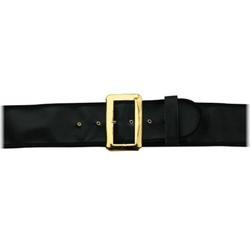 Pirate Belt. Made of vinyl with brass buckle. Length: 52" long. Width: 3.5". Suitable for everything from Santa to pirates, cavaliers to gothic, and renaissance period costumes of all kinds!